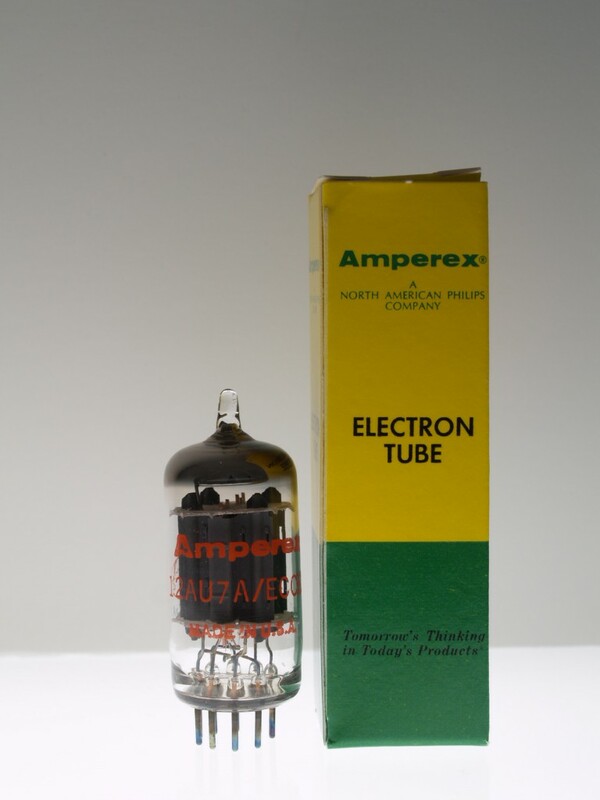 The Amperex 12AU7 is a NOS 12AU7 that is made in USA. A sweet sounding tube, and dead quiet. This 12AU7 is a favorite amongst our customers and sold in green/yellow Amperex boxes.